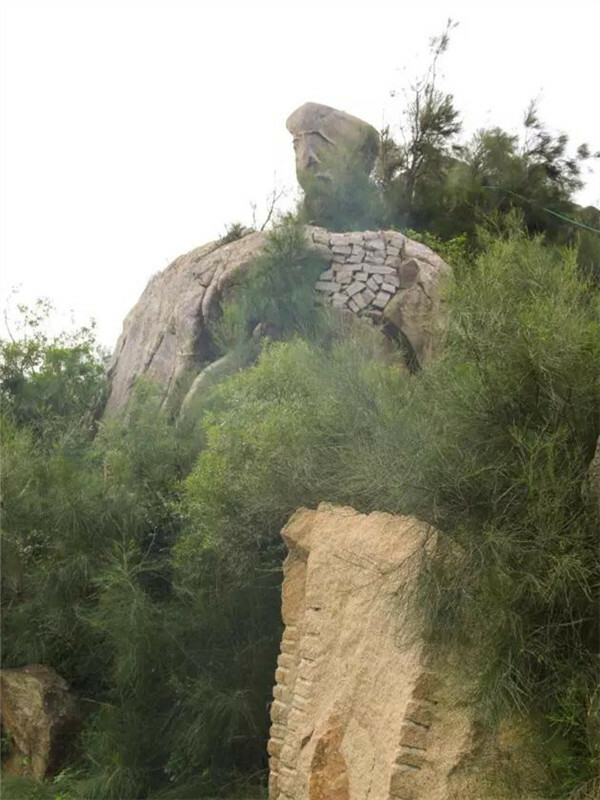 The giant rocks found in and around Jianmin village in Pingtan have long-been revered by the locals for their wondrous shapes and mythical properties. Stories of superstition and legend surround the geographic anomalies, making them a "must-see" destination on anyone's travel map. However, the sands of time, as tiny rocks themselves, have been cruel the giant rocks of Jianmin. Erosion, collapse, and even being mined for construction materials have meant that some of the formations have lost their charm and have been scarred by the pickaxe and hammer. But all was not lost. In the early 90s, the then Party chief of the Pingtan government, Liu Ziqiong, paid a visit to the village and set into motion a series of events which would revitalize and preserve the anthropomorphic rocks. During his visit, Liu encouraged and instructed locals to not take from the beauty of nature to build their homes, but to find a more suitable resource instead. His message hit home, and although not overnight, over time, the villagers learnt to appreciate the giant rocks for their beauty and abstain from destroying something which would later bring the village even more fame and revenue. Today, thanks to the efforts of the government in spreading a message of preservation and the hard work of the locals themselves, the village is reaping the rewards, thanks to vast numbers of tourists flocking-in to see the rocks. A non-governmental organization dedicated to preserving the existing rocks has been established in Pingtan, and a series of activities, such as photo exhibitions and short story competitions are being hosted regularly, appealing to villagers to preserve the rocks. With the joint efforts of the government and local residents, it is hoped the unique rocks of Jianmin will attract visitors to admire the beauty of the natural world in its rawest and rockiest form for many years to come.